This cactus leaf turned up in my vegetable bag. I cut off the prickles and fried it up. Tossed it with some salsa. I call it Totally Desert Salsa. 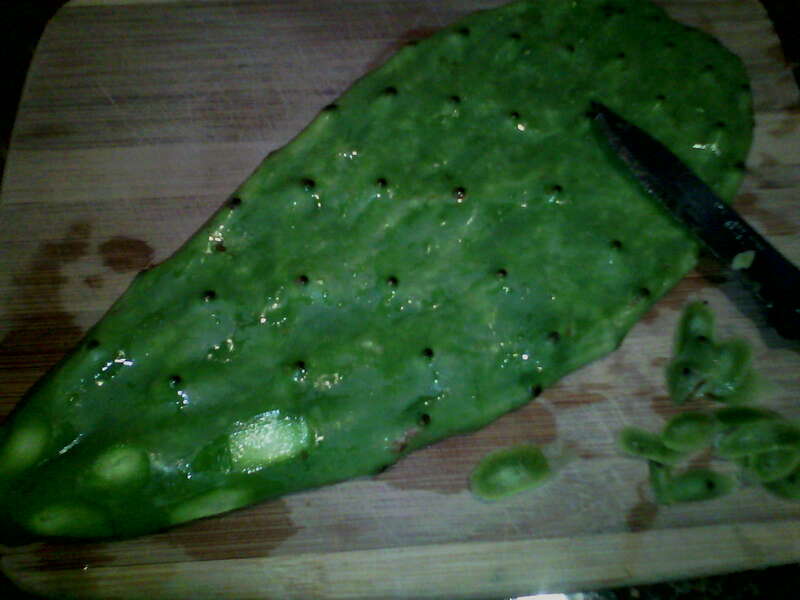 This entry was posted in Cooking and Cookery, Silicon Valley Dreamin' and tagged California, nopales. Bookmark the permalink.